When Democrats hatched their evil plan, they figure Kavanaugh was history. We all know the end of that story, as Kavanaugh’s accusers went down like Democrat midterm senate candidates. Now Judge Brett Kavanaugh is SCOTUS Justice Brett Kavanaugh. Tragedy averted, Donald Trump now had a new mission. He needed to replace Kavanaugh’s old position. And in typical Trump fashion, he performed with flair. President Donald Trump announced Tuesday that he has nominated current administration “Regulatory Czar” Neomi Rao to fill Brett Kavanaugh’s former seat on the D.C. Circuit Court of Appeals. Placing a female in Kavanaugh’s slot. Another competent woman becomes part of the Trump legacy. And Trump gets the added bonus of Rao being a minority woman. At the young District Court age of 45, Rao will likely preside for years. Who knows, she might become a SCOTUS judge herself one day. And Rao will get confirmed. Neither she nor any other Trump judge nominee will suffer the fate of Brett Kavanaugh. Because Trump won the senate in the midterms. 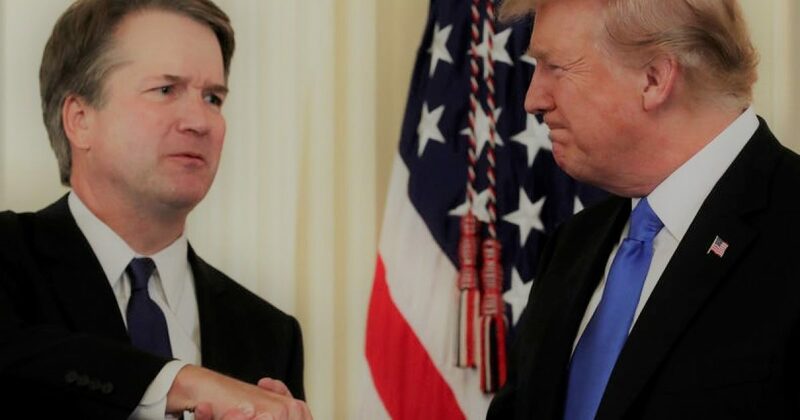 While I’m happy of Rao’s replacement, and the symbolism of putting a strong, non-feminist, very Conservative female to replace Kavanaugh, President Trump has another big decision looming. Some time early next year, the president will replace Ruth Bader Ginsburg. I predicted it. But what’s worse is what is yet to come. Generally speaking people expect SC justices to serve for life, literally. So the retirement of Kennedy presents a bit of an anomaly. My idol and friend Justice Clarence Thomas told me they would remove him in a gurney. He’s only 70 and in good health. So I doubt President Trump will replace him during his tenure. Frankly I hope Justice Thomas lives to be 100 and serves at full mental capacity for his entire life! But things don’t look so good for the Leftist judges. Ruth Bader Ginsburg is hanging on with rubber bands and paper clips. She’s 85 years old, and falls asleep at State of the Union addresses, at least. Let’s face it, Ginsburg is well past her expiration date. I’m no oddsmaker, but I give Trump a 4-to-1 chance of replacing Ginsburg one way or the other. And what of Breyer. He’s 79 years old now. Will he make it another almost 7 years? Possibly, but who knows. Sotomayor, though younger than most of the SC justices isn’t in the best of health. So it’s entirely possible that President Trump could appoint 4 SCOTUS…or more! Democrats are scared. If only Hillary Clinton had won! Too bad Democrats have no ammunition left in the gun. That’s what happens when you bet your future on nasty girls. While Democrats will try to disrupt the Trump agenda by way of the House, Trump will be locking in the Conservative agenda for decades. And when Republicans win back the House and add more senators in the 2020 elections, the Democrats won’t know what hit them.